The Committee directed to be constituted to look into Common Law Admission Test (CLAT), 2018, has found that National Law Universities (NLUs) have been grossly overcharging the students for appearing for the examination, resulting in a profit margin of 90-95% for the NLUs. The report, in fact, notes that even if it is a policy to earn profit out of the examination, earning 90% profits is “egregious”. It then suggests that fee of Rs. 1500 is reasonable for covering the costs of conducting the exam and leaving some spare amount for additional expenses. The committee was constituted pursuant to a direction by the Supreme Court to the Ministry of Human Rights Development in June this year. It comprised of Prof. Manindra Agrawal (Dy. Director and Professor, Department of Computer Science and Engineering, IIT Kanpur-Chairperson), Mr. Vineet Joshi (Director General, NTA), Dr. Ashok Kumar Jaryal (AIIMS), and Prof. Neeraj Dwivedi (IIM, Lucknow). Responding to the committee’s findings, Prof. Shamnad Basheer told LiveLaw, "This is a very hard hitting report. And condemns the conduct of CLAT in sufficiently strong terms. Kudos to the committee for studying the issue so thoroughly in this limited time. What is most striking is that the report takes note of the fact that the NLU's effectively profiteer from CLAT. Making more than 90% profits in the process. The committee calls this an "egregious" wrong and says that rather than charging 4000 per application form, NLU's should only charge Rs. 1500 to account for costs of conducting the exam and making a slight profit as well. The committee also takes issue with the "rotational" conduct of CLAT and the shift of service providers each year, saying there is no "incremental" learning--and that CLAT might be better off conducted by an expert government body (presumably the NTA). The NLU's will no doubt object; but have they offered us any better? Their latest projection of an allegedly "permanent" CLAT secretariat is nothing more than a farce...a mirage of sorts! For at its core, the system still remains a "rotational" one. The alleged 3 VCs and NLU'S that are part of this "permanent" structure were already part of the CLAT core committee and implementation committee. Although the NTA is still "untested", it might well turn out to be the most robust option now..provided the NTA committee/council is guided by a decent advisory board of legal experts/NLU’s." 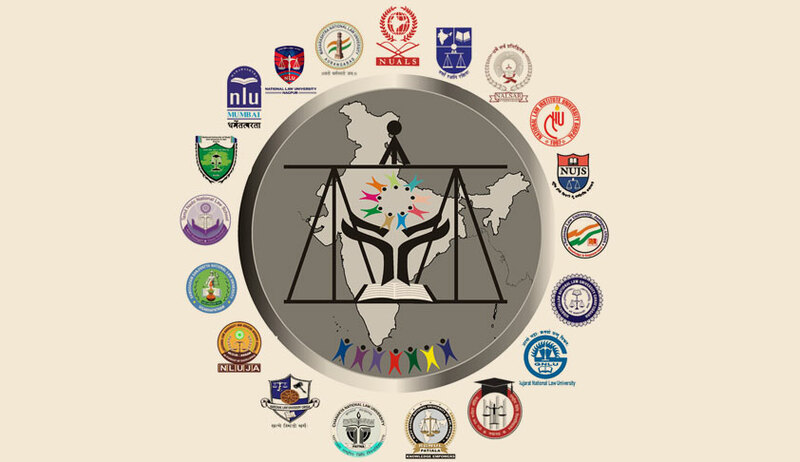 The committee’s report also came down heavily on National University of Advanced Legal Studies (NUALS), Kochi in particular, for its handling of CLAT, 2018. It found that there was a lack of coordination between NUALS and the service provider on the day of the examination when the technical problems became evident. The report presented astonishing data on technical glitches during this year’s exams, stating that 9897 candidates in 61 centres were affected and required time extension. It also claimed that two or more logins were required by more than 19,000 candidates (35% of the total candidates), with the number of logins required going beyond 5 times in case of more than 600 candidates. “NUALS, Kochi, grossly underestimated and under-perceived the scale of problem on the day of examination and perhaps thereafter. No organized method was adopted for communicating to the candidates in 61 centres that they are required to exit and re-login in order to have the allotted additional time to be effective. More than 60% of candidates did not avail the extended time provided,” it said. On the question of action against the body entrusted with the task of conducting the exam, the committee stated that NUALS incurred Rs. 1 crore as legal expenses during the process, and hence, the service provider has not been paid the charges for conducting the exam (totally up to Rs. 1.14 crore). It further stated that the service provider may be barred from applying for tenders for CLAT for a period of at least 3 years. As regards the steps to be taken to prevent technical and other glitches, the committee asserted that the selection of service provider through tender should be for at least two years, with provision for extension of the same for a year. After each CLAT, it said, the organising NLU should prepare a report with recommendations for the next year’s exam. “The SOPs, checklists etc should be improved with input and experience obtained in each instance of CLAT. A dedicated team of technical analyst out-sourced from appropriate government bodies/agencies should be part of exam conducting group and should be responsible to handle the technical aspects of the examination,” it added. The committee further opined that government organisations dedicated for conducting standardised examinations on regular basis across the country would be better placed at handling the logistical and technical aspects of CLAT, as opposed to the current system of organising it on a rotational basis.